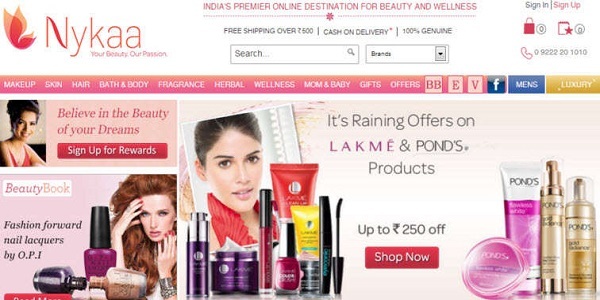 CASE STUDY: How Nykaa gained 50,000 visitors in a month leveraging Digital Marketing? Home > Blog > Blog > CASE STUDY: How Nykaa gained 50,000 visitors in a month leveraging Digital Marketing? 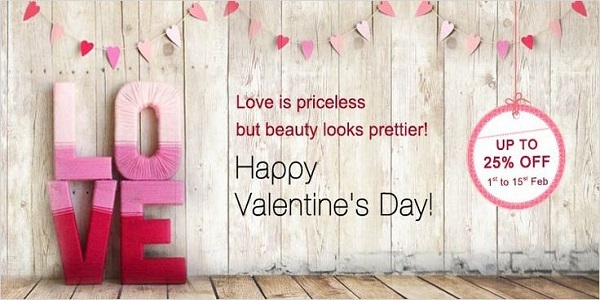 Nykaa is a growing e-commerce platform for beauty and cosmetics products in a wide range of category including skincare, makeup, luxury products, fragrances and hair care products for both men and women. The online portal has a wide collection of more than 35,000 products from more than 400 brands. Inventory-based model has helped the brand to gain its name in the fashion and cosmetics industry. With the growing e-commerce reach in the remote areas, Nykaa has established its presence in more than 1,000 cities to more than 10,000 zip codes. The brand Nykaa came in to existence in 2012 when Falguni Nayar was looking for business opportunity in India and she noticed a huge gap in the beauty products markets in India as India was lagging far behind other countries like Japan, France and European countries. However the data collected by her shows that the demand was on the top but there was very few places to get the genuine beauty products. So the ex-MD of Kotak Mahindra turned into an entrepreneur and launched Nykaa with her banker husband Sanjay Nayar. Nykaa uses a high end content to showcase the global trends that has proved a winning formula for the brand name. People consume content and this is the reason Nykaa has established a good team for its content strategy. Keeping the users engaged through interesting contents on its blog and social media has driven many customers on their web portal. Nykaa runs a YouTube channel “Nykaa TV” to provide the people best video guidance for using cosmetics and fashion products and remain up to date in the society. They have many “how-to videos” to help their users and customers. 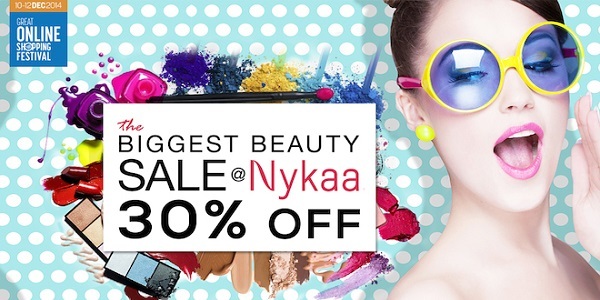 Nykaa offers many coupons and offers to its customers so that they keep on purchasing items from the portal. During the festive time, the brand promotes themselves on various platforms and using various tools. They make use of coupons and discount deals to attract more and more customers. Nykaa uses various social media platforms for lead generation and then gives offers and discounts to convert it into sales. Nykaa shares offers and deal posts on its Facebook page that has helped the brand get a massive 1.4 million fan following. They have integrated “Shop now” option on their Facebook page that redirects users directly to their website to purchase the beauty products. Twitter witness more than 11.1K followers. The content and social media marketing team posts attractive and lucrative contents over the platform that helps Nykaa increase their Twitter followers. YouTube Channel of Nykaa has around 50K subscribers. Instagram has grown large for the brand with more than 133K followers. Along with contents and videos over the company’s product page and social media platform, they also have more than 25 Nykaa experts who give solutions for all your fashion queries online. An offline retail store has been launched at IGI Airport, Terminal-3, New Delhi. Nykaa has generated INR 220 crores as its revenue for the year 2015-16 with more than 95% repeated customers. Since its inception in 2012, within 4 years, the company has grown vastly. Soon after its launch, the company acquired its niche over the social media platforms and till now Facebook has 1.4 million fans while Twitter has 11.1K followers with more than 133K followers on Instagram. With the continuous promotion and offers over the social media platforms, the company now gets more than 50,000 unique visitors each month and on an average 80% of them being women. Its online presence has encouraged them to launch their first offline retail store at IGI airport terminal 3 and it is now expected to grow these numbers.